Screaming Bee LLC is pleased to announce the release of MorphVOX Junior 2.5 that works with Microsoft Vista. 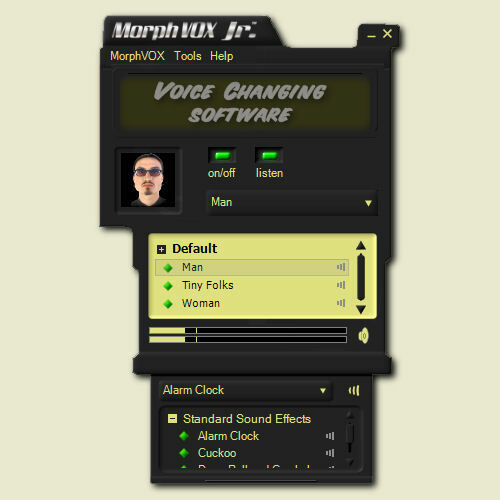 MorphVOX Junior is a free Windows PC tool used to change the voice of a person online. It can also broadcast sound effects over any chat program. The new version of MorphVOX Junior continues to sport ease-of-use and now works well with Vista. Designed for simplicity from the start, MorphVOX Junior makes it easy for a user to change their voice. The built-in Voice Doctor can quickly analyze a user's speech and make adjustments for the built-in voices. MorphVOX Junior includes three fixed voices and four sound effects that can be broadcasted over instant messaging. The new version of the MorphVOX Junior has improved audio quality using some of the latest enhancements to the MorphVOX voice-changing engine. It also allows easy control over the microphone and recording source. MorphVOX Junior can be used with games like World of Warcraft, EVE Online, EverQuest 2, Guild Wars, Counter Strike and many more. It also works well with chat programs such as Xfire, TeamSpeak, Skype, Google Talk, Yahoo Messenger, AOL Messenger, Roger Wilco and Ventrilo.